English Inn – A Most Romantic Lansing Wedding Venue! The English Inn Restaurant & Pub isn’t just one of the best restaurants and lodging options in the Lansing area. Our historic, romantic, and manicured grounds also make us a very popular Lansing wedding venue! If you’re on the hunt for that perfect Lansing wedding venue, look no further: you’ve found it! 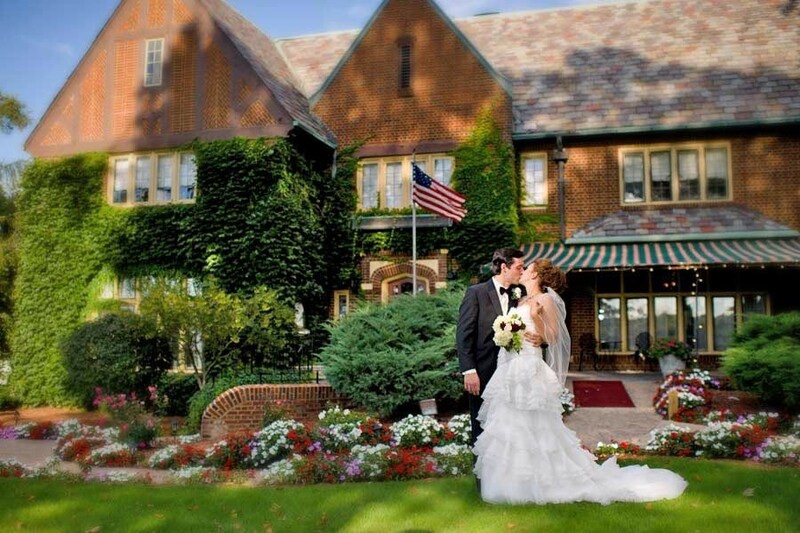 English Inn Restaurant & Pub is THE place for the most romantic, picture-perfect Michigan wedding you can imagine. The historic grounds of our Lansing-area estate rests in the peaceful countryside of Eaton Rapids. Our Tudor revival mansion was built in 1927 by the Reuters and named Medovue. The lush grounds of our estate are situated along the Grand River, just seven miles south of Lansing. 16 acres of groomed gardens, walking trails, and the majestic English Inn all make for the perfect Lansing wedding venue. Thinking of having an outdoor ceremony? Say your vows from our pergola on the wooded banks of the Grand River! English Inn’s beautiful pergola is surrounded by a garden with a fountain whose gentle tinkling merges with the sound of the river. Our spectacular also make for a wonderful and romantic outdoor ceremony setting. Posted in Michigan Weddings | Comments Off on English Inn – A Most Romantic Lansing Wedding Venue!